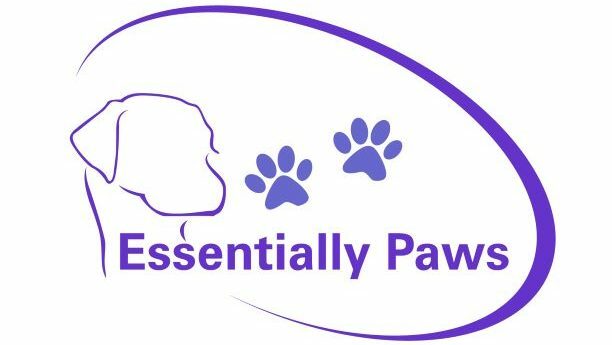 Welcome to Essentially Paws Ltd.
Michelle Garvey has over 10 years experience in training dogs of all ages, breeds and behavioural needs. Essentially Paws Ltd offers basic training, agility and scent classes, one to ones and behavioural consultations. We also offer home visits to give advice and guidance on choosing a puppy, dog or breeder and preparing for your new puppy/dog. Support can be provided on house rules, introducing the new puppy/dog to other animals in the home or house training. Michelle is also an Assessor for Pets As Therapy, for more information on the charity go to: petsastherapy.org. People often ask how I got into dog training. In 2000 I adopted Ollie, a 6 year old cross breed from a local rescue centre. She had been rehomed 7 times in two years and her behavioural problems became apparent immediately, particularly fear related aggression. She bit me twice in the first week and I was advised to put her down. I felt that Ollie’s problems were caused by unpleasant experiences and that she was fundamentally a good dog who deserved another chance. Over time we went to numerous dog training classes and contacted a number of behaviourists, all of whom either refused to deal with Ollie or wanted to use harsh methods. We were asked to leave two different dog training clubs because her behaviour. I realised that I was not comfortable with the ‘traditional’ approach and started to investigate kinder methods of training. Ollie eventually learnt to trust people and was able to live a relatively normal life but it was a long process. It took several months of gentle training just for her not to flinch when being approached or stroked. Ollie lived until she was 13 years old and I am very grateful for everything she taught me and for being lucky enough to have known such a wonderful dog. My experiences with Ollie means I understand the difficulties, emotions and heartbreak of a living with a dog who is struggling to cope with normal life.